The Voyage to South Georgia. Endurance Expedition (1914 – 1917). They had waited months for the drifting ice floes, they were stranded on to finally break up, and afford them passage through the Weddell Sea. It had then taken them seven wretched days, voyaging in the ship’s three lifeboats to reach Elephant Island. They slept that night, where they had landed, at Providence Beach. They named it so, as they were quite entitled to, being the first humans to ever set foot on the island. The following morning they had to set sail again, to find a safer place to establish their camp. Westwards along the perilously rocky fringes they travelled, and landed on a thin sandy spit. This place, they named Cape Wild, after Frank Wild, who had earlier that day discovered the place with Crean, Marston, Vincent and McCarthy, in the Stancomb Wills. Finally, after spending 497 days drifting on ice, the 28 men could at last entrench their living quarters on land. And then? Then they had to get of that godforsaken rock, as quickly as possible! 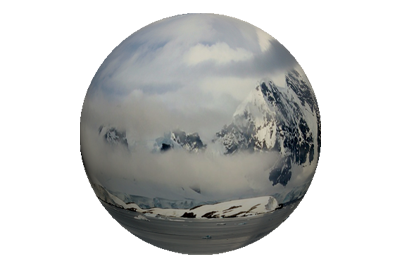 Though they had some garrison from the harsh environment, they had no hope of being rescued, from Elephant Island. The isolated outcrop was nowhere near any shipping lanes, and no-one knew they were there. They would have to save themselves. 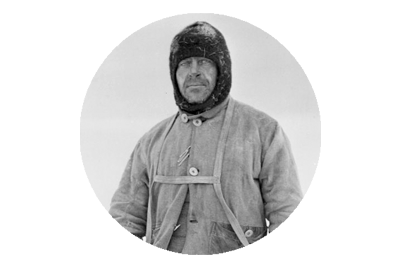 Shackleton deliberated with Wild and Worsley, and it was decided that another boat journey was their only option. South Georgia, which lay 800 miles away, was the chosen destination, as the voyagers could harness the persistent north westerly winds. Though the Falkland Islands lay 300 miles closer to them, they would have had to sail directly into those winds, which effectively ruled it out as a feasible option. This was not a journey that could be undertaken by all 28 men, when everything was considered. Firstly, all of the boats were simply not up to such a journey, through one of the most turbulent expanses of ocean on the planet. Secondly, they did not possess enough food to sustain such a number, over such a distance. Thirdly and most crucially, many of the men were undisputedly unfit for the task ahead. It was settled upon that six men would sail, whilst 22 remained behind, to survive on rations, and hopefully supplement their diets, with a few fresh kills of seal. The largest of the boats, the James Caird, was the obvious choice of vessel. “It was certain that a man of such heroic mind and self-sacrificing nature as Shackleton would undertake this most dangerous and difficult task himself. He was in fact unable by nature to do otherwise,” wrote Frank Worsley. Worsley was chosen for the crew as he was the navigator, who would have to guide them through the churning ocean, and find the tiny speck on the map, that they were aiming for. Frank Wild was asked to remain behind, in charge of the group on the island, and was assigned Tom Crean as his right-hand man. Crean was having none of that suggestion. He pleaded endlessly, for a place on the boat, feeling he had more to offer the challenge, than remaining behind in idle limbo. 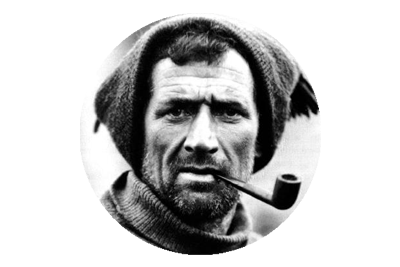 Shackleton eventually agreed with him, and completed the crew with Timothy McCarthy, John Vincent and the carpenter Harry McNish. Preparing the James Caird for it’s epic voyage, at Elephant Island, in April 1916. But before sailing, the James Caird had to be readied for such a perilous undertaking. McNish had previously added to it, fifteen inches in height, a whaleback at each end, and had fitted a pump, fashioned from the casing of the compass from the Endurance. The expedition’s artist, Marston, had mixed his oil paints with seal’s blood, to form a rather primitive but surprisingly effective caulk, to seal the gaps. All of this work was carried out while the men were stranded on the ice floes. On Elephant Island the keel was strengthened with the mast of the Stancomb Wills, and a canvas decking was added. The frozen material was thawed out by Greenstreet and Bakewell, who suffered numerous burns to their hands, as they dangled it over the blubber fire. Then their fingers were frostbitten as they painstakingly sewed the defrosted canvas into place. It was an aspect of the boat’s modifications that would prove to be a life saver, over the course of the journey. Every possible renovation, that could improve the boat was made, and both the Dudley Docker, and the Stancomb Wills, were stripped of any element deemed beneficial. About three quarters of a ton of shingle was sewn into improvised canvas bags by Greenstreet, Bakewell and How, and placed in the Caird, to act as ballast. On top of this was placed another quarter ton of large rocks. These stones would prove to be a constant bane for the six sailors, who struggled to attain any comfort as they tried to catch some sleep on top of the rubble. They following items of necessity, for the journey, were then placed in the boat. 1 box of blue lights. 2 Primus stoves with spare parts and prickers. A few candles and some blubber-oil in an oil-bag. 3 cases sledging rations = 300 rations. 2 cases biscuits = 600 biscuits. 1 tin. of Bovril cubes. 1 tin of Cerebos salt. By April 23rd, 1916, the James Caird and it’s crew of six brave souls, were ready for the near impossible voyage that lay ahead. With sea and weather conditions, hinting at suitable, Shackleton decided they would launch the following morning. The James Caird , at Ocean Camp, before the voyage to Elephant Island. Sources – Shackleton’s Boat Journey – F.A. Worsley. Inventory list from South – Ernest Shackleton. 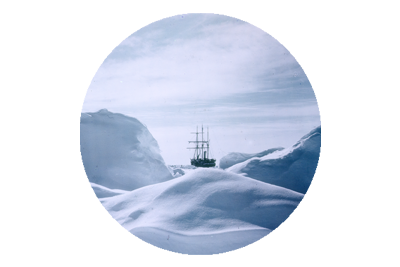 Photographs from South with Endurance, The Photographs of Frank Hurley.